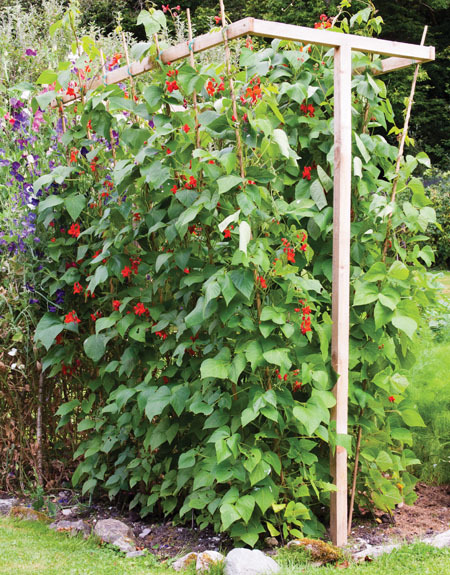 Alternatively, why not create an attractive wigwam or tepee? Space four to eight canes or poles at equal intervals around a circle marked out in the ground - a foot (30cm), from the top using string, strips of cloth or wire. 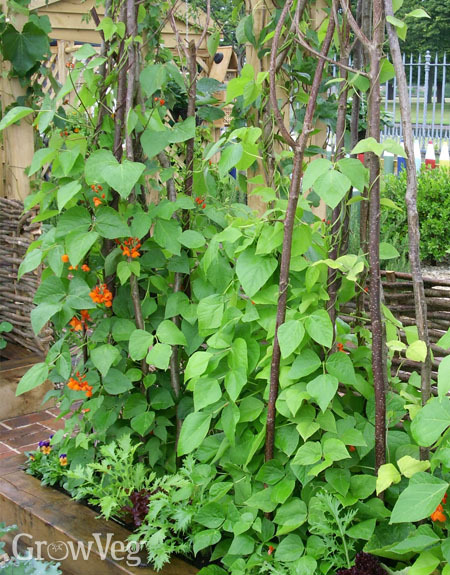 Bamboo and willow wigwams are perfect for climbing peas and beans, while taller, sturdier wigwams made of thicker poles are recommended for heavier climbers such as squashes and melons. For a contemporary look secure sheets of thick-gauge galvanised wire mesh between two frames made from wooden battens. Finish with a coat of paint.